I am a biogeochemist interested in the impact of human activity on the cycling of elements in the environment. 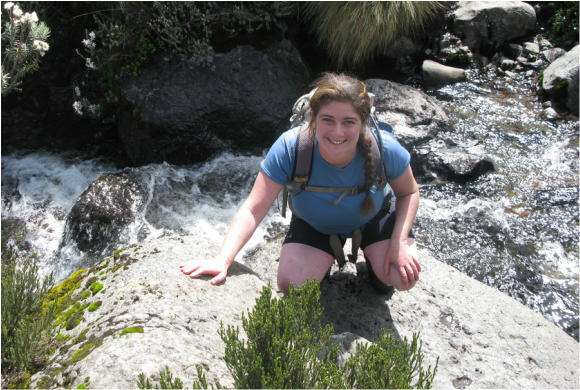 I am currently a PhD student and NSF GRFP recipient in the University Program in Ecology at Duke University with Dr. Emily Bernhardt. Prior to beginning my graduate studies, I spent two years as a Peace Corps Volunteer in Senegal, where I taught health and environmental education at local schools and communities. While my passion for science had begun at a young age, my time in the Peace Corps confirmed my desire to pursue an advanced degree. In fact, I could often be found flipping through scientific journals in my hut, explaining basic processes such as the carbon cycle to women in my village using their local tongue, Wolof. Immediately after returning from the Peace Corps, I attended Syracuse University where I earned a Master’s in Environmental Engineering Science with Dr. Charles Driscoll under a University Fellowship. ​I firmly believe that a fundamental aspect of scientific inquiry is sharing information with those outside the academic community. I thus write short articles for news outlets such as National Geographic Voices to explain my research and seek out opportunities to engage local middle and high school classes in hands-on activities related to my discipline. I have also shared the results of my research with policy makers, NGOs, and local community stakeholders. Additionally, I co-founded and direct a two-week science backpacking summer program for high school students who identify as female from backgrounds underrepresented in STEM. Through this program (GALS), based in North Carolina with partner programs established throughout the country, I hope to inspire students to pursue science and to develop as leaders.